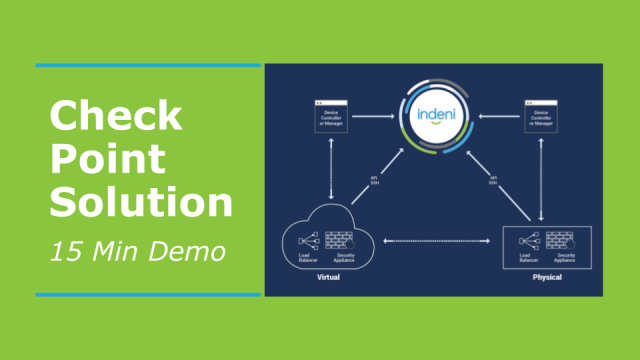 Watch Indeni's Charles Kim do a deep dive through Indeni and how it can help you save time and resources maintaining your Check Point firewalls. Our systems Engineer, Charles Kim, guides you through the Indeni crowdsourced platform in this demo. Indeni makes it easy to manage the infrastructure of digital businesses. With Indeni Knowledge and Indeni Insight, companies can create an infrastructure that is adaptable to change. Our deep set of integrations to critical devices, built-in automation, and easy-to-read remediation instructions arm IT with the knowledge they need to move from reactive to proactive infrastructure management. By analyzing billions of data points per day, and gathering knowledge from thousands of IT professionals, Indeni minimizes business disruptions and maximizes their contribution.